A new validation for National Insurance (NI) Numbers was introduced into MAO on 24th October 2017. This has been introduced to prevent the increasing number of duplicate NI Numbers appearing on the system. If an apprentice has been entered onto MAO previously, the forename, surname and NI Number fields for any new records will need to match the existing record exactly. If you enter an apprentice and the NI Number matches another record in a different name you will see the following error message. The quickest way to resolve any NI Number errors is to check your own MAO account to see if you have entered the apprentice’s name differently in the past. To search your account you can type the NI Number into the ‘Keyword’ field on MAO. If this does not solve your issue then the System Support Team are on hand to help via the helpdesk. It could be that another training provider has entered the apprentice’s details in a different format for a previous apprenticeship which the System Support Team can help you to resolve. Letter from HM Revenue and customs confirming your National Insurance Number or regarding tax or tax credit. Bank statement showing payments by direct debit for class-2 National Insurance contributions, or benefits payment received showing your NINo on the statement, for example, Incapacity Benefit or State Pension. If you have any further questions in the meantime please do not hesitate to contact the MAO Support Team. 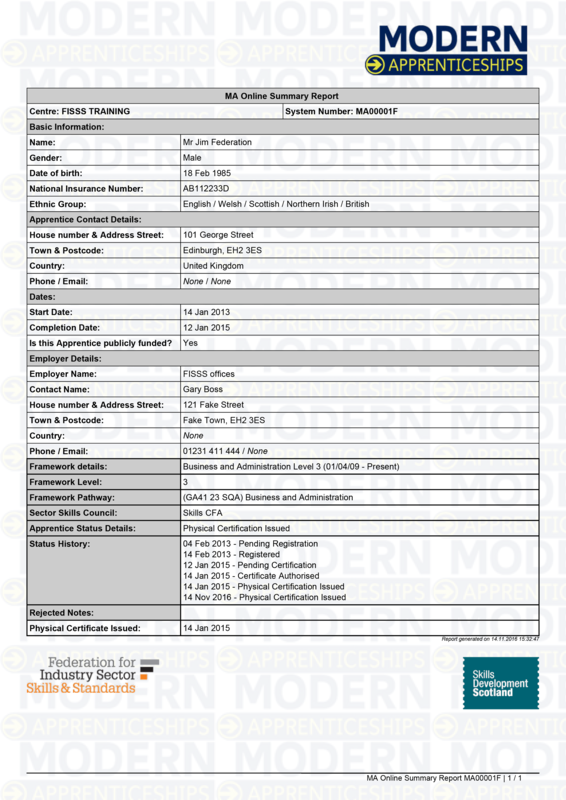 The MA Online Summary Report is a downloadable PDF that collates all the key information about an Apprentice into a one easy to read document. 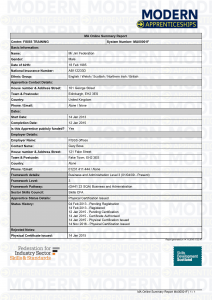 The report is ideal for printing for your paper records or if you need to quickly review the status of the Apprentice. You can find the Summary report at the bottom left of the Basic Information tab of every Apprentice record. Skills Development Scotland has advised us that they are now requesting MA Online Centre ID numbers for their new FIPS system. This number has always been present in MA Online but has never been visible to Centre users. 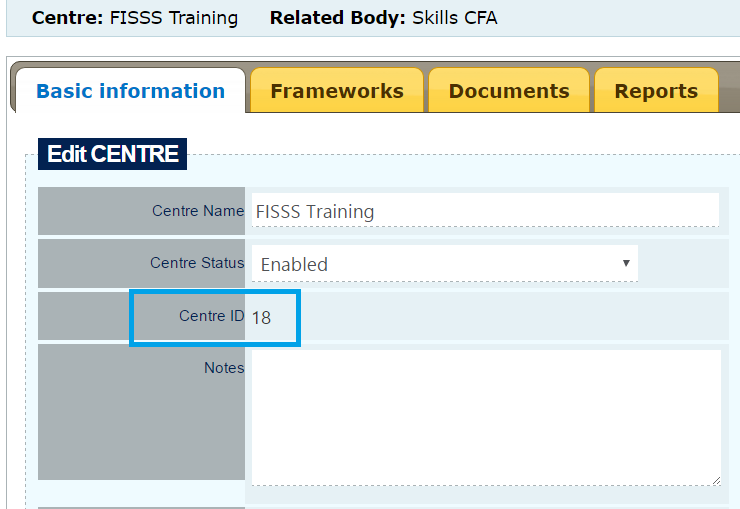 The centre ID is now visible within Organisation Details which is available to main administrators only. To access your organisation details please login as normal and click the ‘organisation details’ tab at the bottom of the screen. 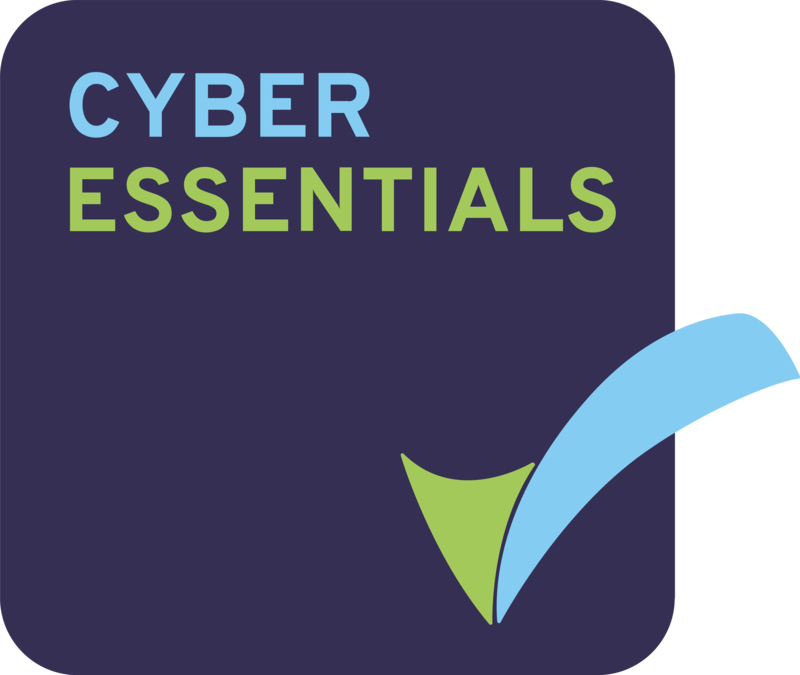 If you are unsure if you are the main administrator for your MA Online account, please contact the relevant Certification Body. We are aware that it can be tricky to keep on top of your MA Online notifications so we have made it easier to view more notifications on screen at any one time. You can now choose to view up to 100 notifications at once and can now select all before completing regular actions such as Mark as Read, Mark as Unread and Delete. As part of our routine security updates, you will no longer be able to access MA Online at the same time using the same login across different devices. This means that users who regularly share log-ins will need to ensure they have their own unique log-in for the system. The main administrator for your account can create additional log-ins for colleagues by accessing MA Online as normal, clicking the users tab at the bottom of the screen and selecting ‘Add User’.